Simpson’s in the Strand is very much an institution that has stood the test of time. It has been opened since 1828 and has rightful claims to ‘British classics perfected since 1828’. 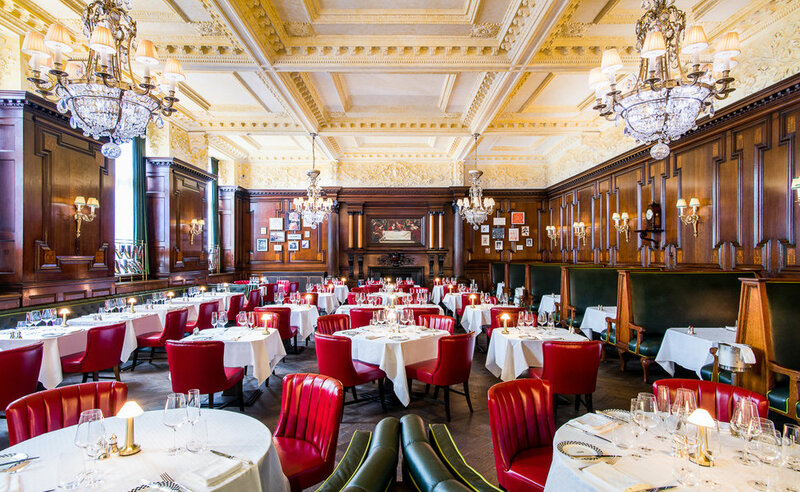 The restaurant is owned by Fairmont Hotels and Resorts who also look after the Savoy hotel nearby and they have poured money into this British establishment with an extensive refurbishment in recent years as well as the appointment of Adrian Martin as chef de cuisine in the summer. The decor is a masterpiece of British elegance with the Grand Divan, their main high-ceilinged dining room being the pièce de résistance. Sparkling chandeliers, spacious banquettes, and all-around sumptuous design make this a restaurant to visit for a special occasion. Prices are at a premium at Simpson’s but you do get top quality produce at this venerable institution. Hand-dived scallops are from Scotland and as plump as I’ve seen in recent times and it’s exquisitely flavoured with curried raisins, caper dressing, and scallop emulsion. Leek and potato soup was remarkably flavoursome and struck the right balance in texture, so that is was neither too watery or viscous. And the presence of crispy hens egg and chive crème fresh really added some class to what is essentially a very simple dish. 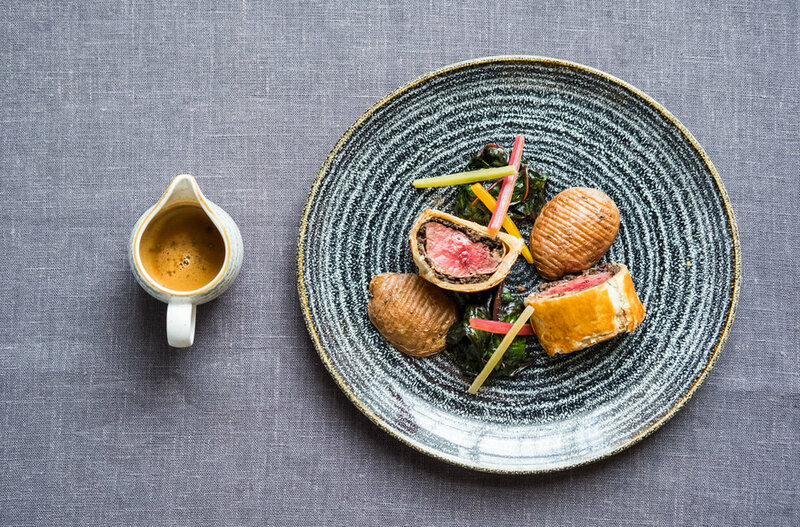 Beef Wellington isn’t a dish you see in most restaurants due to the complexity of preparing this traditional, British classic. The difficulty is making sure the puff pastry is golden and crispy whilst the high-quality beef inside isn’t overcooked. The beef used at Simpson’s doesn’t get classier than Buccleuch Estate 28 day dry-aged beef. If there is a definitive way of making Beef Wellington, you would suspect it would be the recipe used by Simpson’s. Lord Woolton pie has a lovely story related closely to the Savoy Hotel. 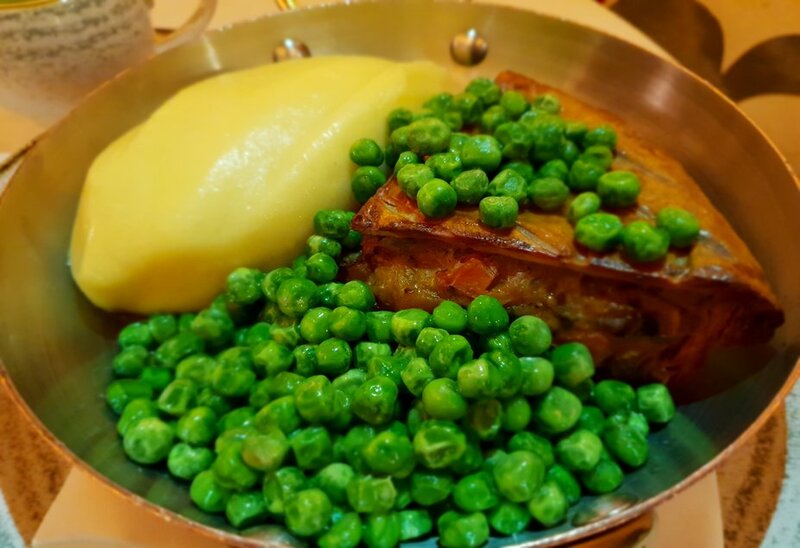 It was created during the Second World War when rationing and food shortages meant most dishes were hard to prepare; so the Maitre Chef de Cuisine of the Savoy at the time, Francis Latry came up with this vegetable pie creation. For a vegetarian dish, it was extremely hearty and served with whipped potato and peas and parsley sauce. 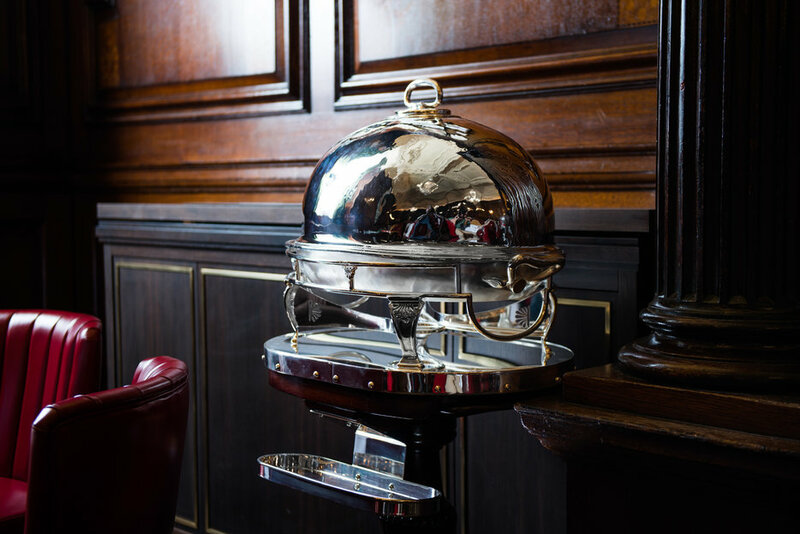 Undoubtedly, you will also see the famous Simpson’s carving trolley being rolled out on the restaurant floor serving their many succulent steak options. This is a British institution that has been around for centuries and no doubt it will be for many more, given its illustrious history and continued excellence.